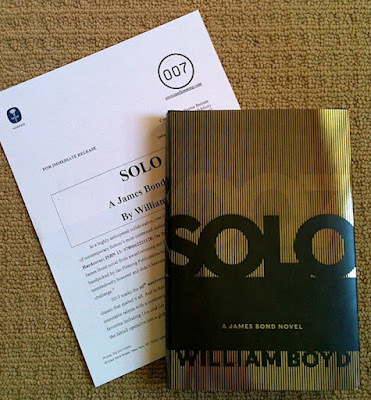 I don't yet have my hands on a UK edition of Solo, the new James Bond novel by William Boyd, so the good folks at Harper have come to my rescue and sent me the U.S. edition which isn't due out until October 8. Fans love to grouse about how the U.S. editions never measure up to their UK counterparts, but what I have in my hands here is pretty darn nice! The pages are deckle edge (rough cut), end papers are black, the dust-jacket is reflective gold all around, and I love that the OO7 logo is stamped in gold on the spine. 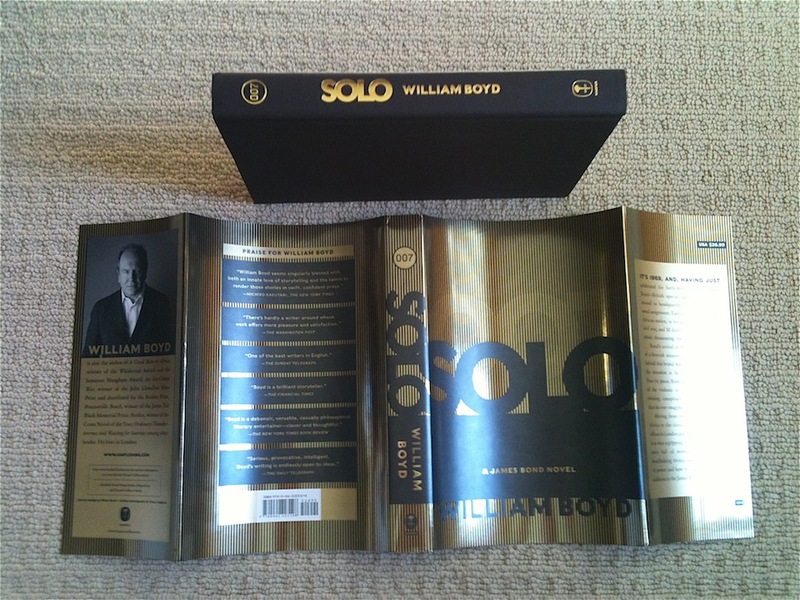 That's a first for the U.S.
Gaze below at the U.S. edition of Solo by William Boyd from Harper. Now excuse me. 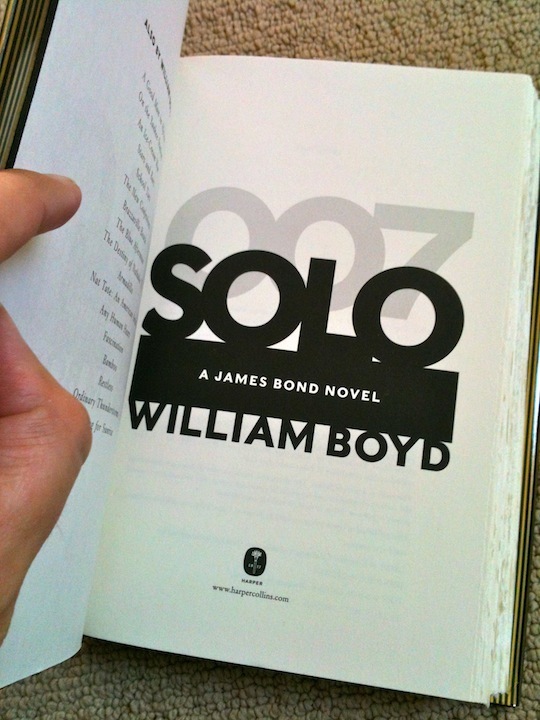 I have a little reading do do. Pre-order Solo by William Boyd from Amazon.com (currently 40% off). Me too! That came awfully fast from the UK. What a great surprise!